Relax and unwind as our local tour guides take you on a journey to share with you some of our amazing Maori legends and Far North history. 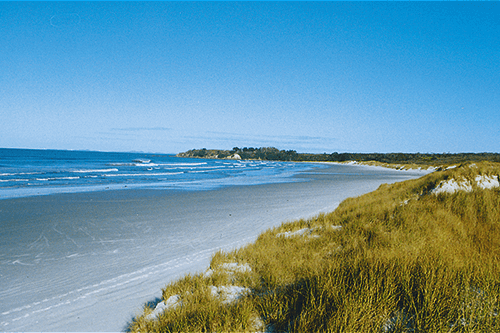 The Quick Sand Stream which leads to Ninety Mile Beach. Steep sand hills to climb and play or toboggan down. (toboggans are on the coach). 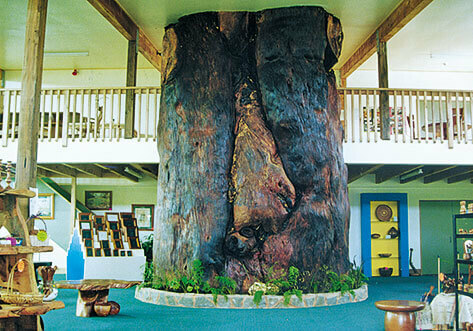 Aupouri Forest is one of the largest Man-made Forests in the Southern Hemisphere. 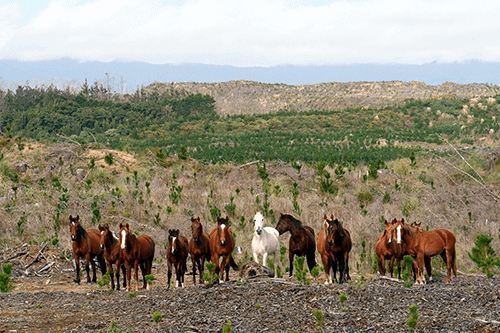 Here we take a drive through a section of the forest – sometimes we are able to find the wild horses that live here. There are many photographic opportunities on this tour. 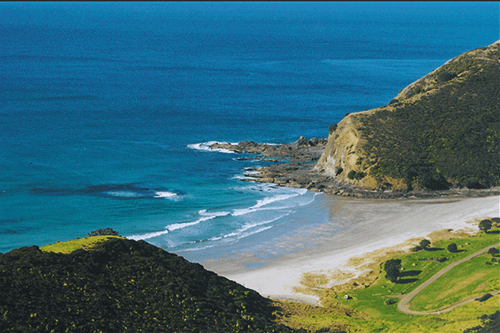 A Beautiful Sandy Bay nestled in the hills on the eastern side of Cape Reinga. This is where we have our Picnic Lunch. Te Rerenga Wairua – a sacred place. 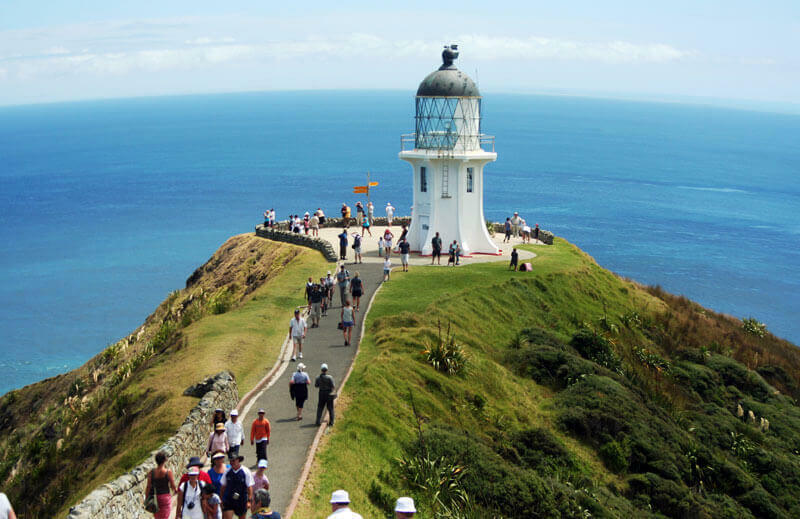 In Maori belief, Cape Reinga is the departing place of the Spirits of the recently deceased.It is also the dramatic meeting place of the Tasman & Pacific Oceans. A stop at Awanui to look at huge kauri logs & stumps which have been extracted from local swamps and are thousands of years old. Furniture & crafts are also on display. No entry fee. a fresh picnic lunch, tea, coffee, juice & sweets, as well as free pickup from your local accommodation. 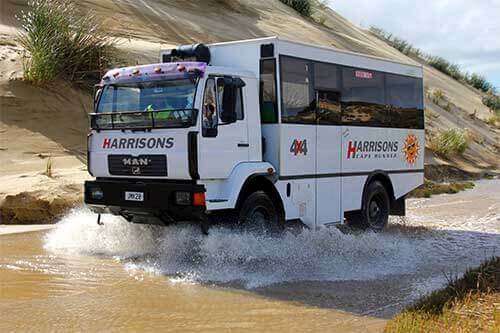 Tours depart from Kaitaia daily at 9am and return at 5pm. Our local Coach Captains (Guides) are courteous informative and cheerful, and are the best in the business, receiving fan mail from all around the world! 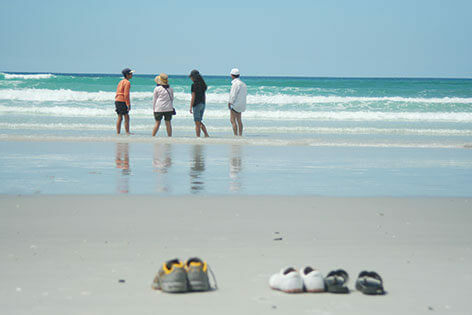 Our visits are on sand much of the time so you do not require heavy footwear (the walk down to the light house is a gentle gravel track) – open shoes & sandals are ok.
a camera & a smile! “Just to let you know how much we 3 enjoyed our trip yesterday – it was awesome! A special thank you to our driver, Robin, who really made our day with his jokes and steady stream of information. He was just great. I did a similar trip from Paihia to the Cape about 20 years ago and don’t remember it being nearly as much fun, or as interesting – in fact I wasn’t really looking forward to yesterday’s trip at all. 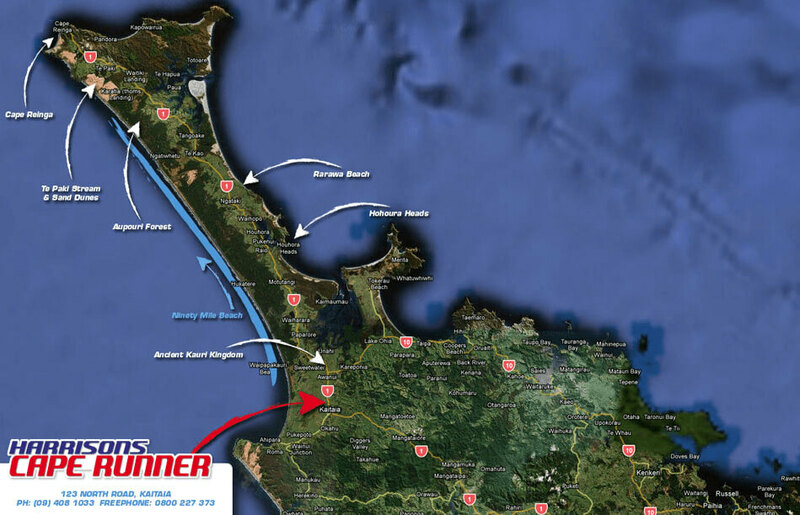 “We thought you should know that we thoroughly enjoyed our trip to Cape Reinga last Friday. Even though the weather wasn’t the best the day was brightened by Alan Norman, our driver, who was great entertainment. His knowledge of the area was excellent and his jokes made the trip great fun. “With a group of friends we were participants on your bus trip to the Cape. Alan was a wonderful driver and also importantly a very good guide. He continually gave us a great deal of relevant information, providing this as a delightful narrative, which not only us but everyone on the bus enjoyed. His sense of fun and humour kept everyone amused and no one complained in spite of weather not playing the game at various times.